PROS: The file shredder worked, albiet very slowly. CONS: Just about everything with Ad-Aware Total Security didn’t do as advertised. Having tested it on three different systems (more than the recommended system specs were met) with nearly the same results, I wouldn’t be surprised if this was the norm for Total Security. 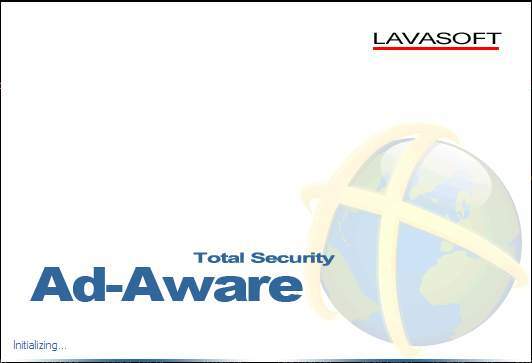 OVERVIEW: Lavasoft Ad-Aware Total Security is an all-in-one security suite designed to detect malware, protect your private data, allow parental control over internet content, and secure deletion of files. Due to countless performance issues that often left the systems they were tested on nearly inoperable, incredibly long scantimes, and several bizarre false positives from the virus engines, I wouldn’t recommend Ad-Aware Total Security as a commercial security solution. Lavasoft Total Security is a complete system security suite designed to protect the user from malware such as viruses, worms, trojans, spyware and adware using realtime protection. Also included are other features such as Parental Controls, Online Backups, Data Recovery and File Shredding. The installation took about 30 minutes to complete, required minimal user interaction, and needed only one reboot. After the installation was completed and the system was rebooted, the user is presented with a splash screen for a few seconds while Total Security initializes. Once Total Security starts for the first time, the user is asked if they would like to check for updates. 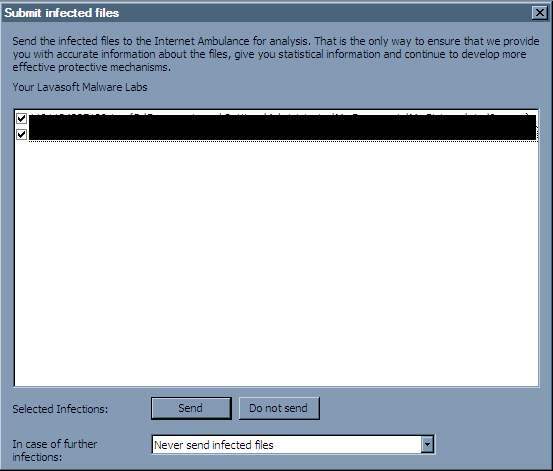 When scanning for malware, a box appears that asks the user if they would like to do a quick scan or a complete system scan. I opted to go with the full system scan to see what it can detect. The rootkit and system area checks turned up clean, and only took about 5 minutes for both of them. The Adware/Spyware check only turned up standard advertising cookies. While they might potentially be a nuisance, these cookies (like all others) can also be removed by clearing the browser cache. 4 hours, and some 2 million files later, I cancelled the scan when Total Security estimated that it would be finished in another 18 days. Not only did it generate several false positives, but when it began checking the music folder, it did so at the rate of approximately 1 audio file every 10 to 18 seconds. Two of the more amusing false positives involved an image file that was supposedly a trojan (which it wasn’t), and pdf file containing an list of recipes from a cooking software archive that was nearly 8 years old. After I cancelled the scan, it asked if I wanted to submit two of the suspected files in question. Needless to say, I declined. Thankfully, unlike BitDefender, I didn’t have to reboot several times before the uninstaller worked properly. While Total Security took about as long to uninstall as it did to install, admittedly, it didn’t hog up system resources or cause the system to choke. I will give them credit on that note, but the length of scantimes really put me off, along with the false positives on the virus scanning. After I gave the anti-malware module a try, I reinstalled with the parental controls and file shredder enabled. This turned out to be a mistake. After I rebooted, all three of the other systems I tried Adaware Total Security on slowed to the point where attempting to try out the modules took well over 30 minutes to initialize and/or use. The only module on any of the three systems that seemed to work with any effectiveness was the file shredder, and that took nearly 6 minutes to delete a file that was 1MB in size. The systems I tried this on had (at the least) 1GB of RAM and a 3.0GHz Single Core Processor and (at the most) 2GB of RAM and a dual core ~2.8GHz. Two of the systems had Windows XP SP3 installed, and the highest specced computer had Windows 7 installed. Lavasoft Total Security has an intuitive interface designed for the intermediate user in mind, but most users, regardless of experience could easily use this application, provided they did not encounter the same problems I did on multiple systems. The main focus of Ad-Aware Total Security falls under the anti-malware spectrum. Almost everything falls seriously short with this application, the only exception being the file shredder. While admittedly, I didn’t test Total Security against wild list sampling, the false positives that shouldn’t have been generated along with the length of time it took to scan files is enough to reassure me that there are probably better and more cost and time-effective solutions for users who have the security of their systems in mind. After having installed the parental control module, I had trouble browsing the internet, and would often have to wait several minutes for basic pages to load. This should not happen, especially on a high speed internet line.